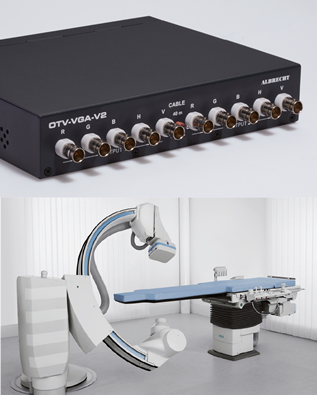 Over 40 years experience in developing customer specific devices in field of broadcast equipment, medical engineering and information technology. ‘Keep progressing’ that’s our motto. Top-quality our demand. More than extracting and inserting data in video signals. 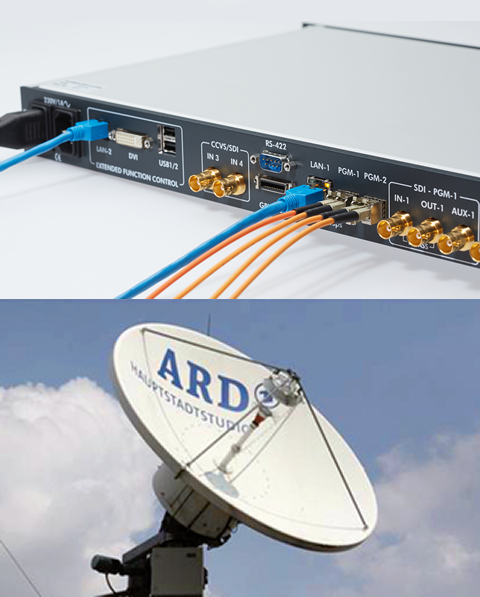 It is an important component of the technical heart of ARD. Picture, text, audio, video – all in continuous operation. 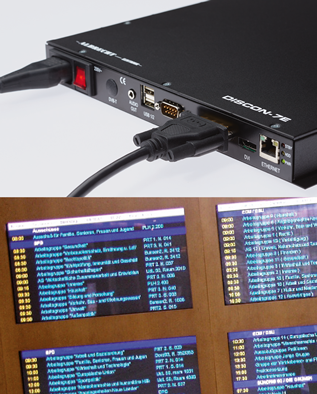 A single display-controller for smooth DIGITAL SIGNAGE. Our ALX-information system is a complete system including hard- and software. We satisfy your High-Tech requirements. Individual. Hardware, software, complete systems. Our extensive know-how stretches from micro-controller software to server database. Do not hesitate to contact us. 14-18 SEPT 2018 IBC Convention.